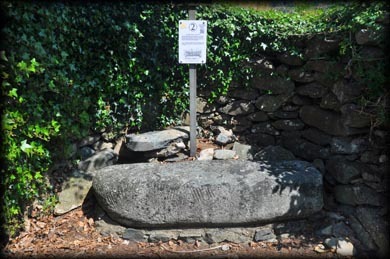 Dating between 350-550 AD the stone was first discovered in 1854. If you are around this area I would recommend a visit as the niche in which it stands has been tidied up recently. About 250 metres east of here is Castletimon standing stone. 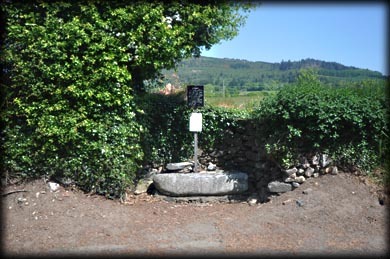 Situated: In a roadside niche, From Dublin take the N11 South, take the next left after the Redcross turn off (Lil Doyles pub) and follow the road keeping left, eventually you will come to a T-Junction take a right here, the stone is immediately on your left sign-posted. Discovery Map 62: T 2974 8548 Last visit June 2016.